Note: Todays workout is a modified version of the brutal 16.5 CrossFit Open Workout. Hit this session fast and hard! Congratulations to Melany on being recognized as Athlete Of The Week at CrossFit Amundson. Gandhi once remarked, “Sometimes a single stone can change the course of a river.” For the majority of the Athletes at CrossFit Amundson, our dear friend Melany Bates is that stone, and she has changed the direction of our life. A little backstory on Melany: In November 2015, Melany sent me an e-mail inquiring about the CrossFit Amundson Internship Program. She visited Santa Cruz for an interview, traveling all the way from North Carolina. Little did she know the interview process would include the grueling “Musha Shugya Warrior Quest” and the “Water Warrior Challenge”, both of which were held on the same weekend. With the spirit of a warrior and smile like the sunshine, Melany completed both challenges. She was hired on the spot, and the rest as they say, is history. In Greg Amundson’s 16 years of CrossFit, Melany is among the top 5 most proficient Coaches he ever worked with. In addition to her technical expertise, she is kind, encouraging, loving and gracious. Melany has decided to relocate to Utah to live with her parents and prepare for the next adventure of her life, which will include a Masters Degree, and world travel. 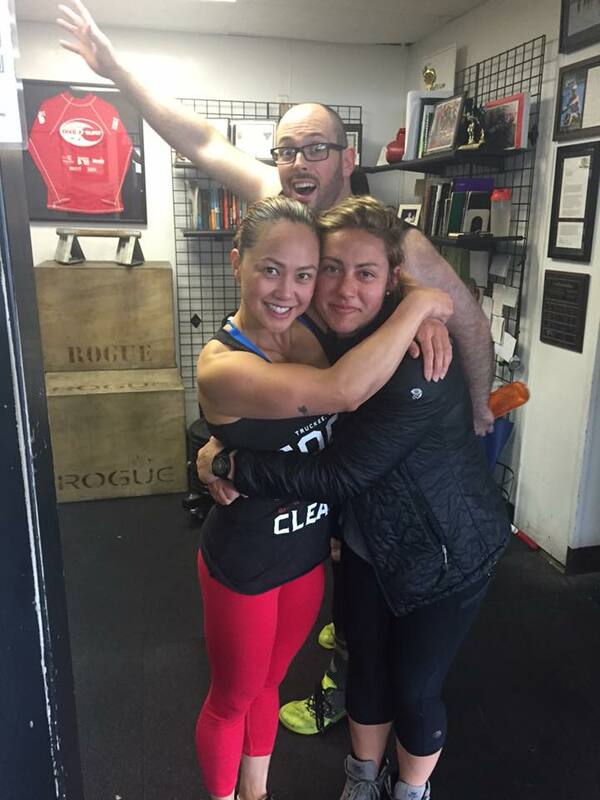 She will always have a place in our hearts, and in our family at CrossFit Amundson. Thank you Melany for a great year! Our Light WOD will be our HQ programming today with Kettlebell Swings as a modification for Thrusters.